The Gratitude Network identifies “game-changing” social enterprises around the world who are improving the lives of underprivileged and under-served children and accelerates the success and growth of these organizations by impacting their leadership. It offers a 12-month leadership development program through its fellowship program—see their website for more details. The Gratitude Network is seeking a Director of Marketing to help it reach a potential audience of supporters and social entrepreneurs. Click here for more information, and contact Randy Haykin, Executive Director, at randy@haykin.net with questions or to submit a resume and cover letter. 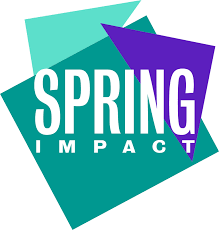 Spring Impact is a nonprofit social enterprise born out of a frustration of seeing social organizations constantly reinventing the wheel and wasting scarce resources. Using a combination of commercial and social sector principles while drawing on practical expertise, it helps organizations identify, design and implement the right social replication strategy and model, enabling them to solve social problems on a much larger scale. Growing quickly, it is seeking mentors on a volunteer basis to support some of its new Bay Area team members. Specific areas for mentorship include honing verbal communication skills, consulting skills, and building expertise in a specialty. The ideal mentor would have experience working in a consulting or professional services firm. Click here for more information, and please contact cho@springimpact.org with questions. The San Francisco Symphony, one of the country’s leading orchestras, seeks a Chief Financial Officer to serve as an energetic and accomplished business leader of the entire Finance function. The Chief Financial Officer (CFO) reports directly to the Chief Executive Officer (CEO) and serves as a high-functioning member of the Symphony’s senior leadership team in a highly collaborative environment. The CFO is responsible for the strategic and tactical management of the areas of accounting, budgeting and forecasting, the balance sheet, audits, investments, cash management, payroll, supporting the instrument acquisition process, corporate compliance, pension plan management, risk management and Information Technology services through three direct reports and associated staff. The CFO will also have significant interaction with the Board of Governors, philanthropic donors, volunteers and external constituencies. Click here for more information and contact Gordon Peterson, Human Resources Director, with questions. Email: gpeterson@sfsymphony.org. Phone: (415) 503-5413. Founded in 2004, the GreenLight Fund collectively reaches 60,000 children, youth, and families annually across the country. GreenLight Fund Bay Area is one of seven cities among the growing, national 501(c)(3) GreenLight Fund venture philanthropy network. GreenLight Fund Bay Area runs an annual process to identify critical gaps and programming needs pertaining to low-income children and families. They currently have has one full-time local Executive Director, and they are seeking an entrepreneurial, organized, and research-focused Associate who works independently and has a passion for equity and economic mobility for low-income children and families in the Bay Area. Must thrive in start-up culture, be energized to build value from the ground-up, learn quickly, and communicate well. Must bring personality and perspective to work on complex issues while also being a great teammate. 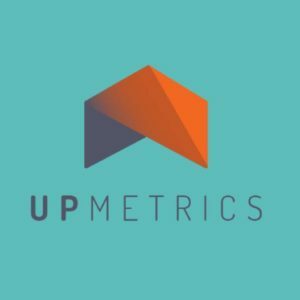 UpMetrics is working to empower community impact organizations to measure success, make informed decisions, and effectively tell their story. Their vision is to close the opportunity gap by matching capital to quality programs. To help achieve this, they provide tools and services for programs to analyze, interpret, and use their data to make better decisions, build capacity, and increase access to funding opportunities. To continue this work, they are seeking a Director of Strategic Partnerships to develop and drive the distribution of the UpMetrics products and services for their growing company. The director will lead a dedicated group that is committed to offering the UpMetrics solutions that help afterschool programs, foundations, and nonprofit organizations understand the impact that they are making in their communities. This person will develop strategic partnerships, form lasting relationships with clients, and inspire the territory managers to meet company objectives. Meritus College Fund is seeking a dynamic, resourceful, and entrepreneurial Executive Director. Founded in 1996, Meritus believes that higher education is a critical step in addressing income disparity for motivated, talented low-income youth. 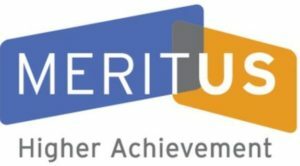 Meritus seeks to empower low-income Bay Area youth to succeed in college and prepare for opportunities post-graduation by providing scholarships, individualized coaching, and career mentoring with professional internships. The Executive Director should have the desire and capability to help strengthen and scale the organization’s programmatic capacity as we grow into new geographies.